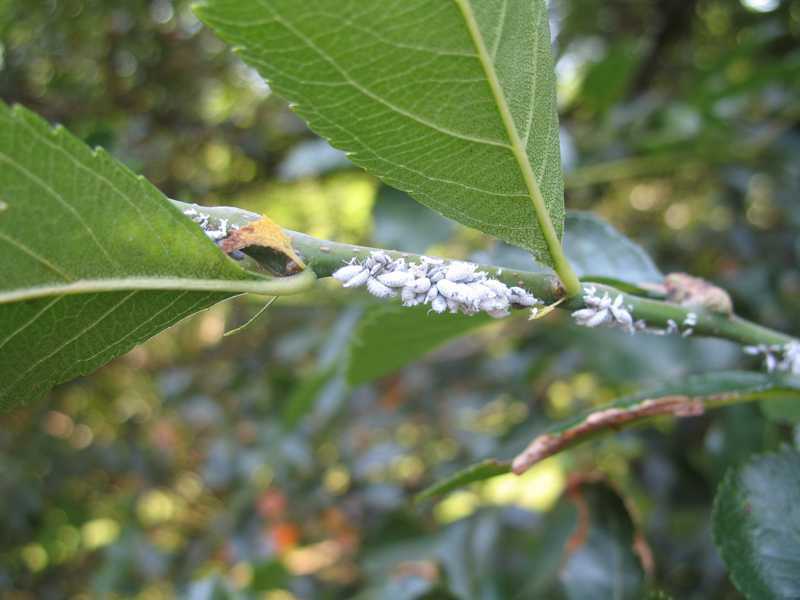 Relatives of aphids, these insect pests can damage the tender growth of trees by sucking out the plant's juices. Adelgids feed only on conifers, including Douglas fir, hemlock, larch, pine and spruce. They can produce white, cottony tufts on bark, branches, twigs, needles or cones of host plants; and cone shaped galls or swollen twigs on spruce and fir. When present in large numbers, adelgids may cause yellowing and early dropping of needles and dieback of terminals. 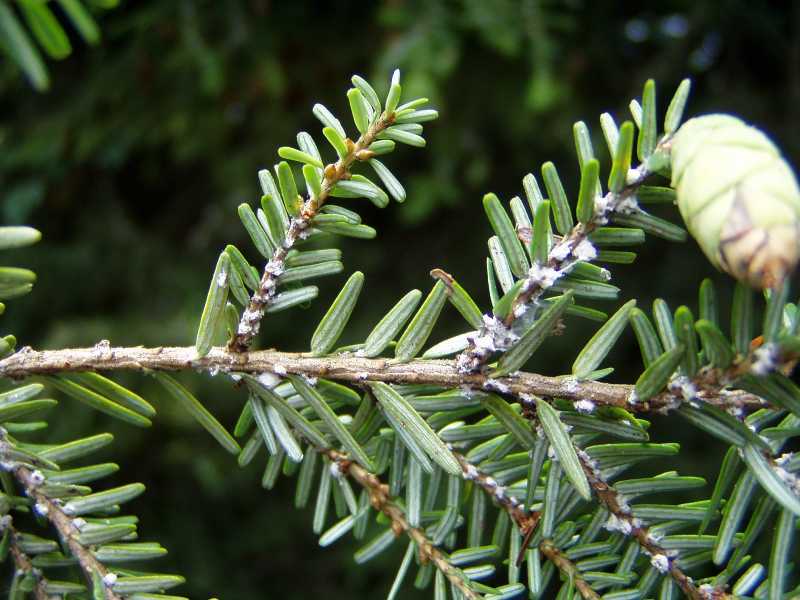 They can retard or kill trees, although vigorous plants can usually tolerate moderate adelgid populations. 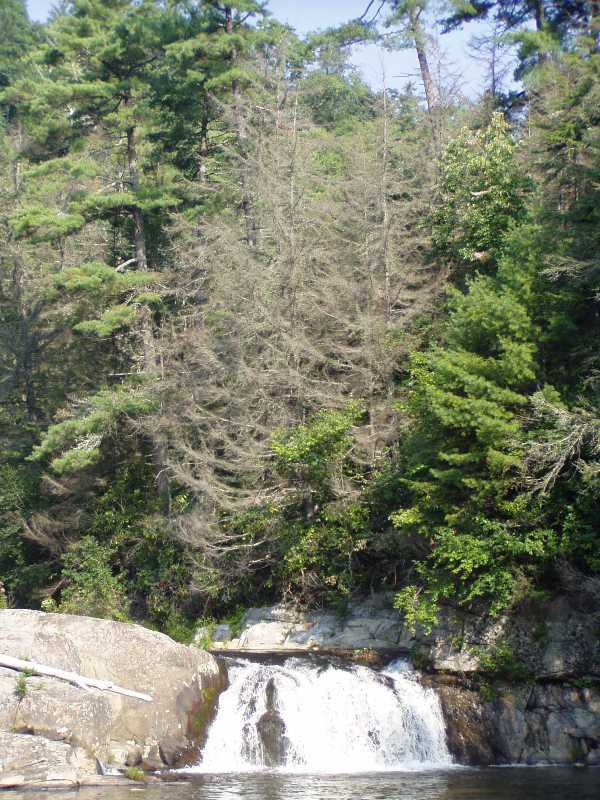 Control adelgid populations by directing a forceful stream of water at cottony masses, particularly those left on the trunk of host trees. Clip and dispose of swollen twigs or foliage damaged by galls before insects emerge. 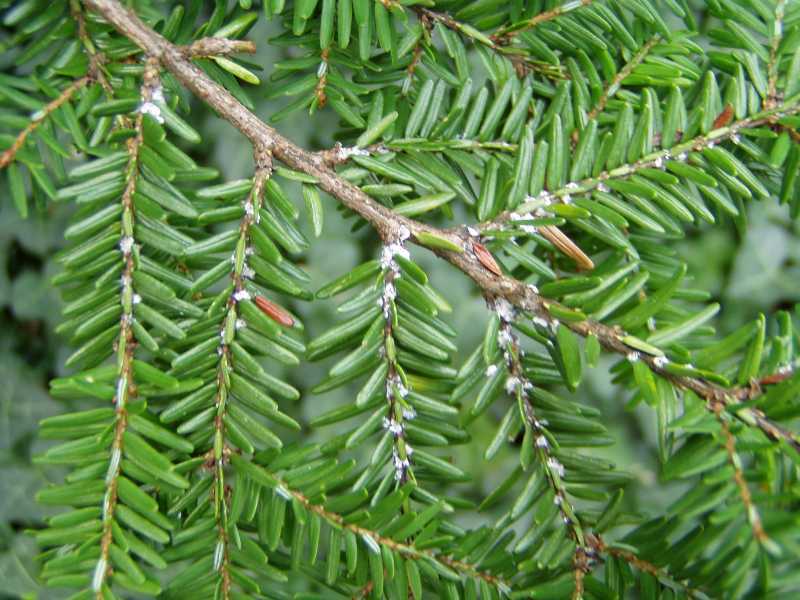 Prevent recurring problems by applying a narrow-range horticultural oil in the spring; be advised, however, that this method may discolor spruce foliage. Avoid excessive fertilization and quick release formulations that will produce flushes of succulent new growth preferred by adelgids.